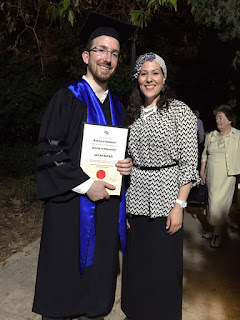 Yesterday was my graduation ceremony at Bar-Ilan University, in which I received my doctorate in Jewish History, with a dissertation on "Rabbinic and Maskilic Encounters with Zoology in the Nineteenth Century." As I described in my post "Zoo Rabbi Doctor", this was the culmination of a change in my life's direction that I not only did not foresee, but would have positively feared and hated. Twenty-one years ago, when I was twenty years old, I successfully fought against my parents, who were urging me to leave yeshivah and attend university. At the time, even if I would have attended university, it would certainly would not have been to study Jewish subjects. I looked at academics in the field of Jewish studies with deep suspicion, especially if they were also rabbis! As I mentioned several years ago in my post "From Yeshivah to Academia", Rav Hirsch writes that one of the reasons why the Torah disapproves of vows is that a person should never make absolute decisions about their future plans; life is a process of growth, and plans change as a result. I am very, very grateful that various circumstances and people influenced me to move in a different direction! Mazal tov on the day preceding the Rebbe's MHM (iy'H) histalkut, this Shabbat. Keep going in bringing rationality to Torah but always try to bear in mind the leader of the generation's teachings. "The leader of the generation"? "I am very, very grateful that various circumstances and people influenced me to move in a different direction!" So it ends up that all the bans and name-calling ultimately were for a good purpose! More seriously: I heard a story when I was in Kollel that the Chazon Ish applied for a position to be a Rav of a city in Europe. Surprisingly, he wasn't accepted--but then he came to Eretz Yisrael. We can attribute all of the Chazon Ish's subsequent work on מצוות התלויות בארץ to the fact that he wasn't accepted for the position. There is absolutely no basis for this story. 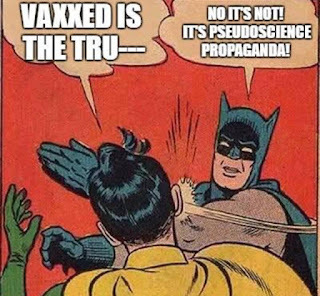 It's nonsense. Did the Chazon Ish have a position in ארץ ישראל? I doubt that your story is true. The Chazon Ish was extremely averse to assuming any rabbinic role. Prof. Kaplan: You mean the Chazon Ish story, right? I've heard R' Rakeffet quote the Rav on this a few times. @Prof. Kaplan and Yehoshua: Oh well. That's why I mentioned that I heard the story in kollel--inspirational stories that kollel guys tell each other probably aren't going to stand up the the scrutiny of a university professor. Yashar Koah Rabbi Dr. Slifkin! Mazeltov. Chuffed for you and full of nachos! Mazal tov! When can we see the published version? Mazal tov, Herr Rabbiner Doktor! Mazel tov, R' Dr. Slifkin! G'day. That's bonza news. We'll throw another snag on the barbie! Mazal tov Rabbi Dr. Nathan Slifkin. Congrats and every success in the future. Don't get too happy with yourself.A doctorate in history is a joke. Don't kidd yourself, any child can do it. Try it in mat/science/engineering an then we'll talk. Maybe you should learn how to spell before you belittle the doctorate. I agree. Departments in all fields other than your preferred ones should be shut down immediately. After all, free and advanced societies like the US were founded by people who were great math experts, but knew little history. You must have a doctorate in spelling. Apparently there are some things that a humanities education can teach you that science can't.... how to be dignified and gracious, for example. I believe that your full title is "tiresome talentless tard". One doesn't hide behind initials if one has anything useful to say. Every line the esteemed Rabbi Dr Slifkin writes shows his brilliant intellectual ability,yet ttt has revealed his pathetic nature in a mere two lines. "And their children must study painting and tapestry, so their children's children can study Queer Theory, African-American Contributions, and Gender Studies." @ttt:It's a doctorate in Jewish history, but the content of the thesis is Torah content. Wow. Thanks for the entertainment with which to start my week. Yep, those well known kabbalists, the prophets! Both to you, and your wife, who has supported you in everything you've done to reach this moment. Congratulations. With you and Dr Brodt, that's already an impressive class of 2016. Mazal tov Rabbi Dr. Slifkin. One of my teachers told me the first thing you should do after earning your doctorate is change your answering machine message (this was a few years back) to include your new title, then call yourself, just to hear it. Hearing yourself referred to as "Dr." is a pleasure to be savored. Mazal Tov Rabbi Dr. Slifkin Shlit"a! Mazel tov. May you go from strength to strength. Mazel tov Rabbi Dr. Slifkin. Mazel tov. Will we be able to read your dissertation? A hearty יישר כחך on your achievement! The contingencies that shape our lives can only be understood in retrospect. I'm happy for you that your "garden of forking paths" has led to such a distinguished and satisfying destination. Belated congratulations and compliments on the cool headgear; a big Religious Nationalist kippah with a masonry mortar board on top. Mazal Tov! This is an epic form of closure, and a great step in a good direction. I wholeheartedly I congratulate you, I am very glad for you. You have wrote your text by yourself or used the assistance of the service, such as this one https://academic-consultants.com/dissertation-writing/? Very interesting to know.